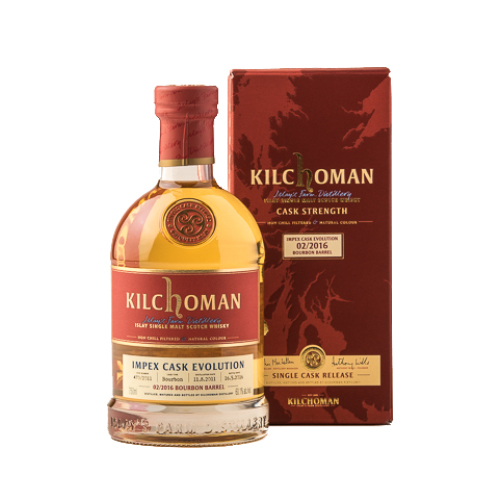 Kilchoman’s last ImpEx Exclusive was a sherry bomb, which makes this a fun counterpart and point of comparison. On the nose, gentle smoke gives way to notes of coconut, cloves, and bacon fat. It’s quite inviting, and the body keeps things going from there. The palate offers notes of almonds, more coconut, and a surprising amount of fruit considering that this is a young, bourbon-barreled whisky. The finish sees more of that gentle smoke returning, along with some sweet cola and clove notes that add nuance and intrigue. Everything comes together surprisingly well in this one; it’s easy to see why ImpEx picked this particular cask at this particular time.